Do you know how to respond to someone saying Thank You? Did you ever ask a question to yourself? When you serve someone a service like giving compliment to your friend or helping an old person to cross the road or helping a colleague at an office, what’s your response to their thank you? It is quite an important subject to talk about in particular for those who are devoting or planning to devote their services to other people. More we will help people, more we will be appreciated for our services, more we will receive Thank You from them. All these phrases mean that the person who served you is happy and there is no need to thank them. There might be few more, but what I discovered is the three things which we can say while displaying our gratitude when someone says us Thank You. Each and every response vibrates in and at a different level. The average response when someone says Thank you includes phrases like ‘No Worries’ or ‘No Problem.' It is better to use something proactive which doesn’t cringe the person when you resort back. Though it is a polite way, yet is appropriately used in response to when someone says sorry. 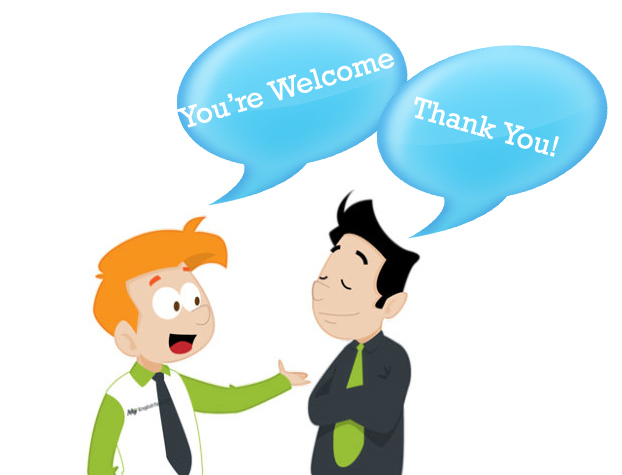 The good response when someone says Thank you include a phrase ‘You’re Welcome.' It is the most common phrase which we use when someone says Thank You. Most of the people fall into this category. It is a safe bet when you receive a thank you for your service. This response to a thank you might go unnoticed as well. The phenomenal response when someone says Thank you include a phrase ‘It’s my pleasure.' It is a polite way to respond back to people who says thank you and shows that you are happy to serve them. The people rarely use this phrase, but individuals remember those who use this phrase for long. People who use this phrase are conscious human beings who have a high-level vibration as compared to other people. Apart from this, we have a bonus tip for you all. Just remember to smile while responding back to people who thank you for your service. If you have a genuine smile while responding back to a thank you, then your voice will give people a conviction. Most of the people are unconscious while speaking and this is the primary reason why they prefer staying average. What I mean to say is that they give an average response. We should adopt some habits in our lifestyle because it will do wonders.